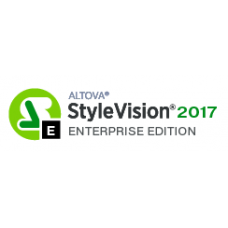 Altova StyleVision Enterprise Edition is a drag-and-drop, visual XML-to-HTML stylesheet designer for graphically designing XSLT 1.0/2.0 templates that render HTML output from XML content. 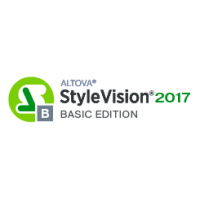 It also includes support for XBRL, charts as a design element, PDF and Word 2007+ (OOXML) output, XML digital signatures and support for designing stylesheets based on multiple XML and/or database sources. 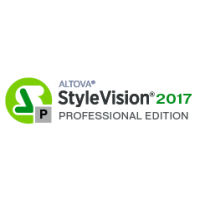 StyleVision Basic Edition Altova StyleVision® 2017 is an award-winning tool for designi..
Altova StyleVision Professional Edition is a drag-and-drop, visual XML-to-HTML stylesheet designer f..